Sushi Making Lessons at EC Montreal! 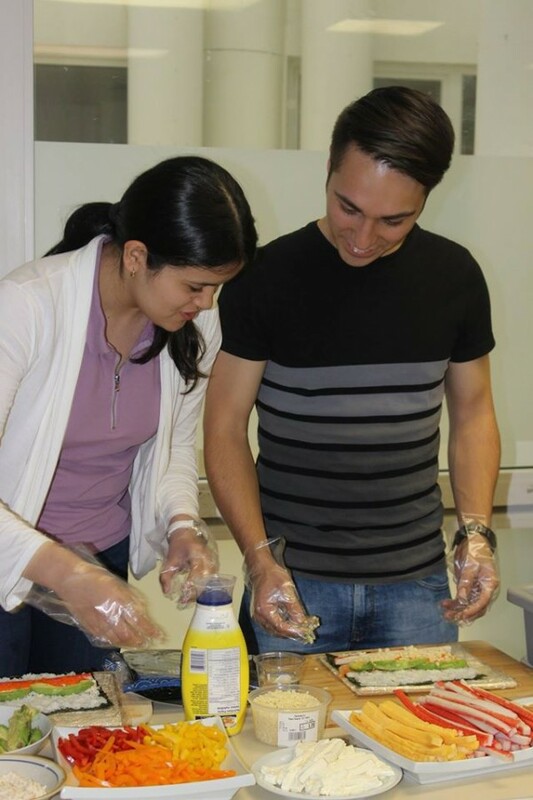 Yesterday, EC Montreal offered its students free sushi making lessons as part of our Gastronomy month theme! We set up the student lounge with 5 sushi rolling stations and Renee led the activity and showed everyone how to roll the perfect sushi! We had such wonderful ingredients set up for the students to use; fresh seafood, smoked salmon, egg, cucumbers, peppers, avocados, tuna and cream cheese! The stations were so colourful and inviting! 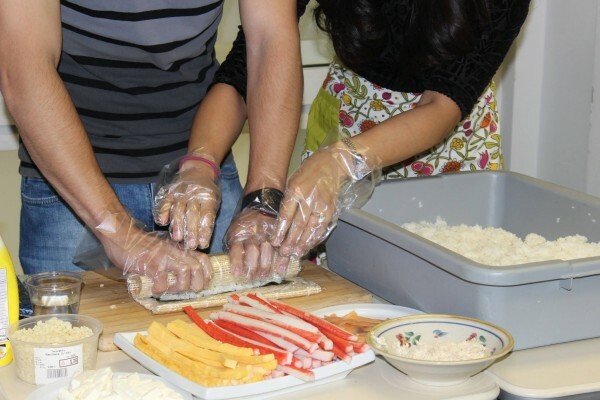 The students did not mind to line up to wait their turn to learn how to make sushi! All the students were so proud of their accomplishments that they posed proudly with their finished product for a picture! It was so nice to see the students so engaged in the activity and eating their sushi with great enthusiasm! Gastronomy month continues next week with our international potluck picnic! Join our FSL and ESL in Montreal programmes and savour all the flavors of our city! Interested in studying in Montreal? Check out our other special focus courses such as Business English Classes in Montreal!